The Famagusta District is a beatiful region that spans both Cyprus and Northern Cyprus, (towns/ villages it encompasses are; Achna, Agia Napa, Agia Thekla, Agia Triada, Avgorou, Dreyneia, Frenaros, Kapparis, Liopetri, Paralimni, Pernara, Protaras, Sotira, Vrysoulles). The Famagusta area is reputable for some of the best beaches Cyprus has to offer, so whether you prefer to bask in the sun on golden sands, swim in the clear blue water, or get involved in the may water sports on offer - there's no better place for it. There is a variety of fantastic things to do and see in Farmugusta, some of the main attractions are: boat trips, the variety of restaurants and bars throughout the area, excursions, safaris, water parks, stunning beach coves, traditional churches, beautiful bays, water sports, scuba diving, snorkelling and many, many more. The area is also steeped in rich history, Farmugusta seems to have had its heyday in the 13th century when Christians fleeing from Syria and Palestine settled there and developed it into a wealthy city under the Frankish Lusignan dynasty, which ruled from 1192. It declined after a riot in the 14th century and by 1489, when the Venetians took over, it had seen better times. They redeveloped it, building a massive wall round the old town, which remains there to this day. Just a little further south is the wild, undeveloped peninsula of Cape Greco. A wealth of rare flora and fauna, dramatic cliffs with sea caves and the most incredible views make this area a very popular place to spend the day. This stunningly beautiful coast with its nature reserve is known around the world for snorkelling and scuba diving, and is also a government protected conservation area. 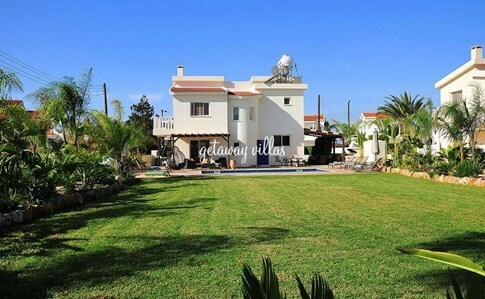 We have stunning villas in most of the regions in Farmagusta so have a browse and see what takes your fancy!